AP feed newspaper article (7 Sep 1966). 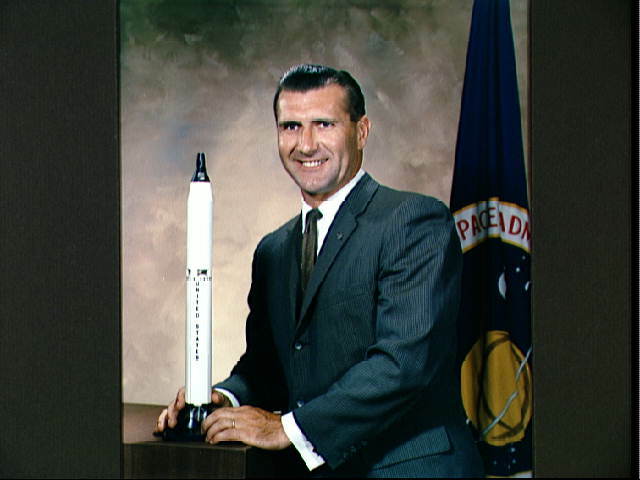 Richard Gordon was the pilot of the three-day Gemini XI mission which was launched on 12 Sep 1966. The first task was to made a rendezvous and dock with an Agena target vehicle previously launched for the purpose. Gordon then performed an extravehicular activity (EVA) to tether the Agena to the Gemini capsule. The muscular effort involved was exhausting and overstressed his life-support system. Heavy perspiration dripped into one eye and required cutting short any further planned activity and return to the inside of the Gemini capsule. After a sleep period, Gordon continued with another spacewalk to complete more planned activities. Prior to the launch, various newspaper articles were published regionally based on the Associated Press feed introducing the astronaut, the spaceflight and its planned mission activities. The feed included quotes from an interview with Gordon. There’s nothing between you and oblivion except a pressure suit, and you just can’t afford to get out there and get in a big rush and tangle yourself up where nobody can help you. The biggest thing I’ve learned from the people that have gone in the past, you simply have to take your time, and you can’t exhaust yourself. Text from Bridgewater, NJ, The Courier-News (7 Sep 1966), 8. 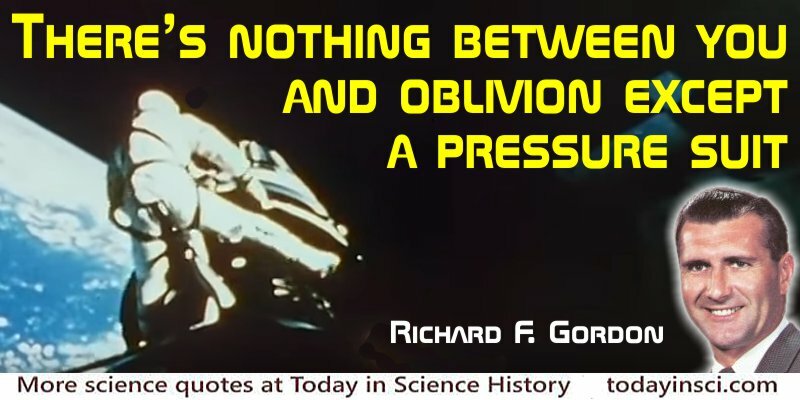 Science Quotes by Richard F. Gordon, Jr..